Some people want to make films. Some people need to. But what if you don’t have a wealthy benefactor or access to unlimited funds or a degree from a film school? If you’re not already one of the 1.3 million subscribers to Film Riot’s YouTube channel you might want to remedy that. Compact and fast-paced, each episode covers pretty much everything a DIY-er would want to know in order to start making their own films—from equipment reviews and recommendations, to how to develop stories, to creating a believable nighttime jungle scene in an indoor space. But don’t let the DIY target audience mislead you into thinking the show’s host and producer, Ryan Connolly, doesn’t have a thing or three to teach even the most seasoned vets. Because he’s spent the last ten years positioning himself to fulfill his most basic and fundamental need—making a feature film. His latest endeavor puts him one step closer to achieving that ultimate dream. In this installment of Made in Frame, we had the opportunity to talk to the Film Riot creator-in-chief whose just-released BALLiSTIC is yet another in a series of compelling short films he’s made on an improbably low budget. Not only is he a passionate filmmaker, he’s also an articulate instructor (and blogger and podcaster) who eagerly deconstructs his work and generously shares his tips and techniques with his audience. In 2013, Ryan spent eight months laying all the groundwork for a zombie flick called Outsiders. He had actors, props, crew, and people literally on their way to the shoot—and at the last minute, his financing fell through. A less dedicated filmmaker might have been crushed, but Ryan regrouped. In ten days’ time, he had a new story, script, location, props, and everything he needed to make PROXiMITY, which not only became an online hit, but also formed the basis for the universe that later inspired his December 2017 follow-up Sentinel and, now, BALLiSTIC. Ryan and crew on set of “PROXiMITY”. Scene from BTS video. For the majority of Ryan’s career, he’s been a jack-of-all-trades out of necessity. Writer, director, producer, editor, DP, prop master—all successfully. But BALLiSTIC is not only his most ambitious production to date, it’s one in which he allocated most of his focus just on directing (and the first in which he hired someone else to edit). “I’m able to get my films about 60-70 percent of the way there by doing most of the work myself,” he says. But as he describes working with the various crewmembers on this film, he acknowledges how vital their added expertise was in taking that next step toward achieving his creative vision. In a recent Film Riot segment, Ryan talked about how important casting is—not just for actors, but also for the crew. Ryan giving direction to actors Rachel Hendrix and Kambry Musser. DP Chase Smith getting fitted with the MoVI and Canon C200. One of Ryan’s mentors had been urging him to work with an editor for years, which he had resisted. It was on this project, however, that the wisdom of collaborating with others who are experts in their disciplines became clear. BALLiSTIC is a complex production, beginning with an ambitious and lengthy action sequence loaded with practical pyro and stunt effects that required thorough coverage. Canon, who partnered with Ryan on this production, supplied four of the seven cameras used on this extremely compact four-day shoot. LensProToGo supplied the rest. Because the practical effects could only be performed once before the props were destroyed, getting maximum coverage was essential. As was keeping the budget under control. “I’d just reviewed the Canon C200 on Film Riot and was really impressed. I love the Alexa Mini and had shot a bunch of recent projects on it, but this project was so much more complicated so I decided to put my money where my mouth was—because I’m always talking about how the gear isn’t the most important thing—and that’s when we reached out to Canon and they were keen to collaborate. “The C200 is only, like, a $7,500 camera, and I’m a big fan of the color of Canon cameras.” (Ryan says “only $7,500,” because that’s a fraction of what digital cinema cameras like the aforementioned Alexa Mini cost). They shot in Cinema RAW with a wide range of Canon cinema lenses, as well as SLR Magic anamorphic lenses. 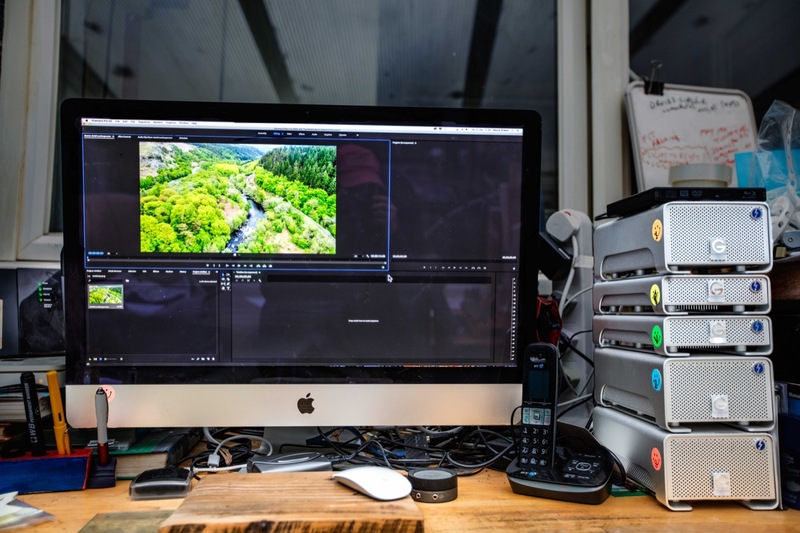 It was edited in Premiere Pro using ProRes LT because even though Adobe now supports editing in RAW, the files are large, and using seven cameras meant that there was a lot of footage. It was finished in ProRes 4444. What’s perhaps most interesting about watching the Making of BALLiSTIC is seeing how strategically Ryan organizes his productions. Shots that required the motorcycle-sidecar camera rig were grouped together on day one. Days two and three were heavily loaded with stunts and pyro effects, so that by day four they could go to a skeleton crew to get the close-up performances of the main character and shoot inserts. BALLiSTIC is a pro-quality production, and Ryan and his team accomplished everything in record time. Approximately six weeks of pre-production, including writing the script. Four days for the action shoot. Three days for the interior/night shoot. Sixteen days of editorial, and a day of color grading. Approximately six days for the composer to create the score. Ryan is, as any director should be, incredibly grateful for his crew’s heroic efforts. He believes in giving them strong direction, but also the freedom to bring what they think will be right for the project. By instilling a sense of ownership in them they, in turn, work that much harder to bring his vision to life. It’s somewhat rare to see a director thank a crew that sincerely, and watching him do it at the end of the LA shoot is a thoroughly heartwarming experience. (Future directors, take note: you can run a tight production and still be nice.) If you’re always willing to work harder than everyone else, you’ll find that collegiality works better than fear. 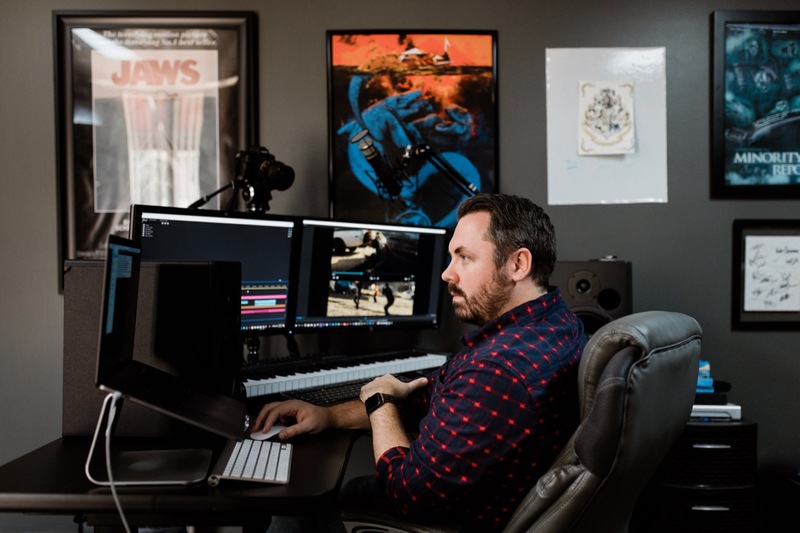 After completing the action sequences shoot in LA, Ryan worked with his editor, Lucas Harger, to cut that portion of the story before moving to the next phase of the production, which would be shot in Texas. After directing fifteen or so films, he panics less than he used to, but working with Lucas and having a problem-solving partner-in-crime was enormously helpful. In addition to hiring an editor, Ryan turned the final color grading over to Asa Fox of The Mill in LA. After one day of working together, Ryan was thrilled with the results. When collaborating on a production of this magnitude, it’s imperative to have a platform where disparate crew and collaborators can exchange feedback, get fast access to vital media, and do it all in a secure system that improves speed and efficiency. That’s why Frame.io has been an integral part of Ryan’s workflow. Find out why people and companies like Ryan, Stu Maschwitz, BuzzFeed, CBS, Disney, and others rely on Frame.io. No credit card required. He created separate projects for his colorist, and for the effects artists, each of whom had their own shots to work on. They also used Frame.io to put up the different versions of the cut as they approached the final, and were able to send review links out to viewers for feedback. In that case, Ryan sent them out individually. “I wanted everyone to be able to give their own opinion without being influenced by other people’s notes or ideas,” Ryan explains. He decided to give up his apartment and was planning to live out of his car, but luckily a friend let him sleep on his couch. When his mother found out, she asked him why he didn’t tell her—she’d have happily let him come home. But he was adamant that he needed to be uncomfortable in order to push himself toward his goal. Certainly he’s learned how to grab an audience, which he attributes to continuing to practice the crafts of story and technique. He’s never been one to let being a perfectionist stand in the way of making films. That Ryan has publicly recounted how one of his films required not just a Plan B or Plan C, but a Plan E in order to complete it is testament to his commitment to his audience and his unflinching honesty. It’s almost like he’s letting you learn how to shave on his face, suffering the nicks and cuts so you don’t necessarily have to. Although, of course, you’ll still have your own challenges because no production ever goes exactly as you planned, and you’ll make your own mistakes which, of course, you’ll learn from. And that’s exactly what Ryan would want you to do. Interview photography by J.W. Daniels. Except where noted, set photos courtesy of Triune Films.